Driving in a car rental in Vienna is less stressful than most big cities. Vienna's roads are very well structured. You will need a navigation system to navigate some of Vienna's street signs and the one-way mazes of Vienna’s old town. It may be a good idea to purchase a pre-paid parking voucher to park in some parts of the city. Make sure you stay out of the way of Trams, it is illegal to block their paths and make sure not to use bus lanes during their hours of operation. If you are travelling with children under 12 years of age, they will need to be provided with car seats. 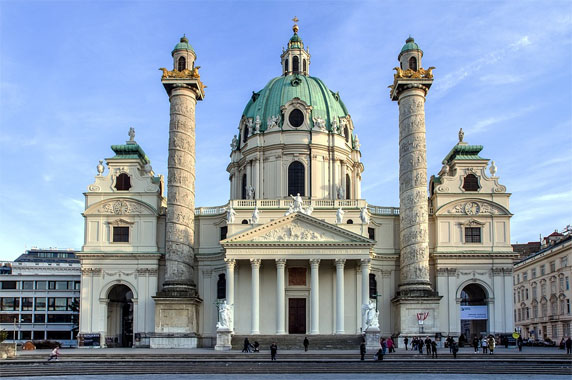 Where to pick up your car rental in Vienna? 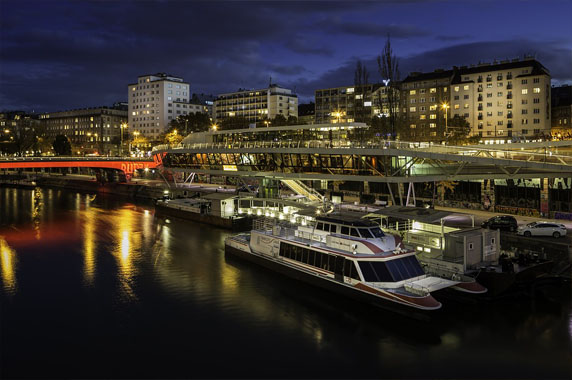 What do you need for your Car Rental in Vienna? 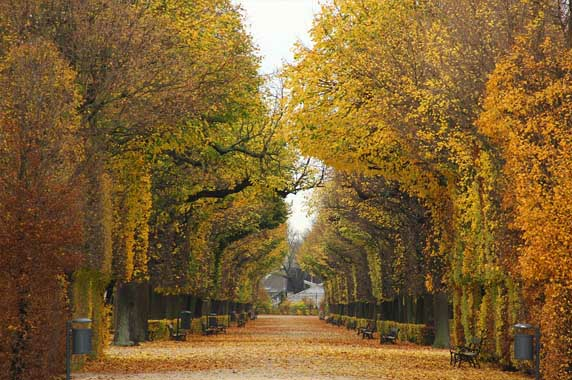 Take your car rental in Vienna out for a drive and explore the most beautiful parks that are spread out the city. Rosengarten, is a beautiful rose garden close to the Burgtheater, parliament, and city hall. 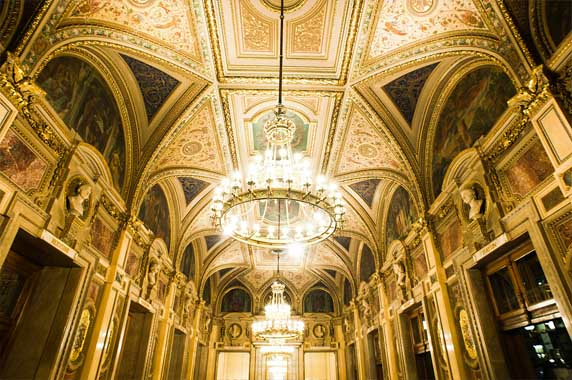 Café Central is one of Vienna's classic cafés for an afternoon break with some live piano music. Make sure to taste the Wiener Schnitzel and the best can be found at Gasthaus Pöschl. If you are visiting in the summer, Schönbrunn Palace offers live outdoor classic music concerts. Vienna's best museums can be found at MuseumsQuartier. No trip to Vienna is complete without a ride on the 19th-century Riesenrad. Vienna's weather changes regularly, but summer are the most comfortable and sunniest time of year to visit. The weather in October and November is mild but can get breezy when the sun sets. The winters are typically very cold, dry, and windy with January being at the peak. Snowfall may occur in December through to March. The weather starts to warm up in the Spring. The evenings in March may still be cold but by May, it gets quite pleasant. June is typically the wettest month of the year. 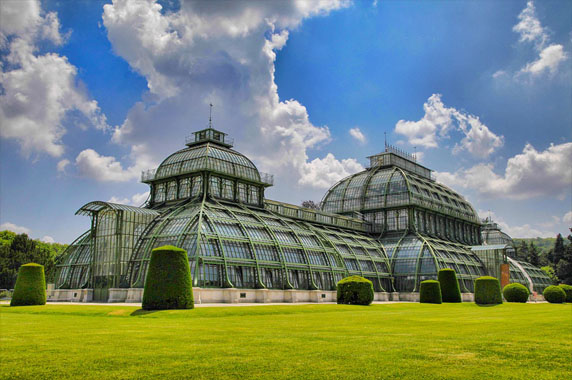 The best time of year to visit Vienna for general outdoor activities is from mid-June to early September. What to eat in Vienna? There's so much more to eat in Vienna than the famous Schnitzel. While driving around in your car rental in Vienna, stop by any café and ask for the Apfelstrudel, this decadent puff pastry with sweet apple slices in sauce, topped off with some whip cream or warm vanilla sauce. Tafelspitz is another distinctively Austrian dish, which is boiled beef with vegetables and spices in broth. You cannot go without tasting the belly warming Goulash. The Sachertorte, one of the tastiest Viennese desserts is a chocolate cake with a thin mid layer of apricot jam, served with whipped cream on top. For a quick meal, grab some Viennese sausages, which are sold all over the city from designated stands. Where to Road Trip from Vienna?